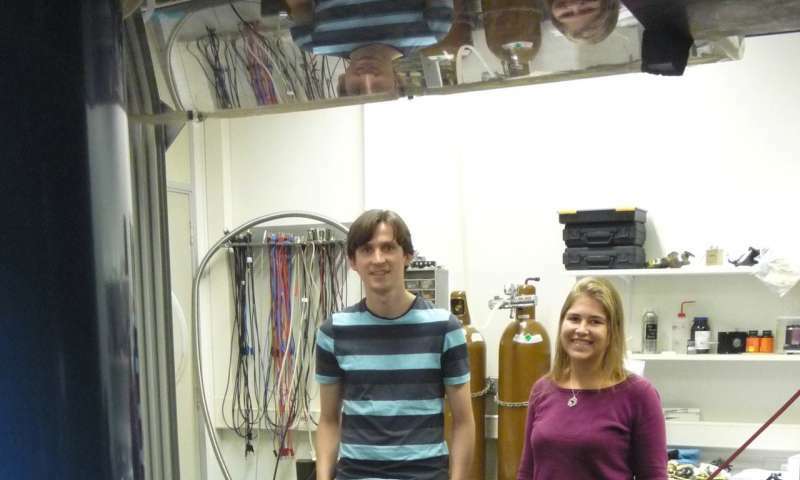 An international team of scientists led by the University of Groningen's Zernike Institute for Advanced Materials created quantum bits that emit photons that describe their state at wavelengths close to those used by telecom providers. These qubits are based on silicon carbide in which molybdenum impurities create color centers. The results were published in the journal npj Quantum Information on 1 October. Physicists from the University of Groningen in the Netherlands, together with colleagues from Linköping University and semiconductor company Norstel AB, both in Sweden, have now reported the development of a qubit that transmits information on its status at a wavelength of 1,100 nanometers. Furthermore, the mechanism involved can likely be tuned to wavelengths near those used in data transmission (around 1,300 or 1,500 nanometers). The work started with defects in silicon carbon crystals, explains Ph.D. student Tom Bosma, first author of the paper. "Silicon carbide is a semiconductor, and much work has been done to prevent impurities that affect the properties of the crystals. As a result, there is a huge library of impurities and their impact on the crystal." But these impurities can form what are known as color centers, and these respond to light of specific wavelengths. When lasers shine light at the right energy onto these color centers, electrons in the outer shell of the molybdenum atoms in the silicon carbide crystals are kicked to a higher energy level. When they return to the ground state, they emit their excess energy as a photon. "For molybdenum impurities, these will be infrared photons with wavelengths near the ones used in data communication," explains Bosma. This material was the starting point for constructing qubits, says fellow Ph.D. student Carmem Gilardoni, who did a lot of the theoretical work in the paper. "We used a technique called coherent population trapping to create superposition in the color centers." This exploited spin, a quantum mechanical phenomenon that gives the electrons a magnetic moment that can point up or down. This creates a qubit in which the spin states represent 0 or 1. Gilardoni: "If you apply a magnetic field, the spins align either parallel or anti-parallel to the magnetic field. The interesting thing is that as a result, the ground state for electrons with spin up or spin down is slightly different." When laser light is used to excite the electrons, they subsequently fall back to one of the two ground states. 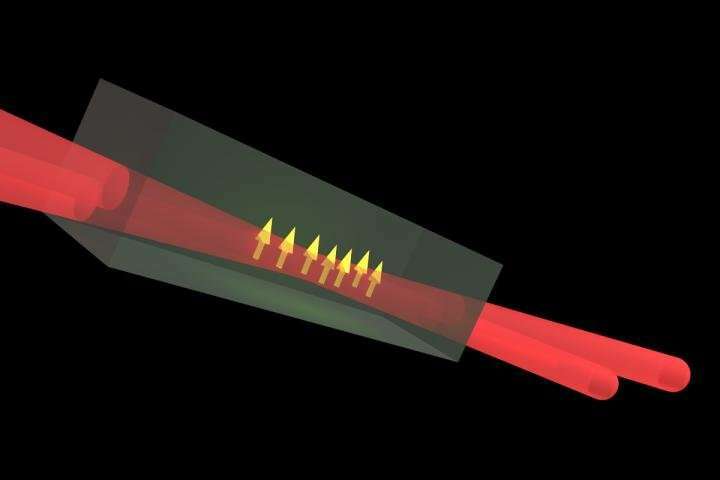 The team, led by Professor in Physics of Quantum Devices Caspar van der Wal, used two lasers, each tuned to move electrons from one of the ground states to the same level of excitation, to create a situation in which a superposition of both spin states evolved in the color center. Bosma: "After some fine tuning, we managed to produce a qubit in which we had a long-lasting superposition combined with fast switching." Furthermore, the qubit emitted photons with information on the quantum state at infrared wavelengths. Given the large library of impurities that can create color centers in the silicon carbide crystals, the team is confident they can bring this wavelength up to the levels used in standard optical fibers. If they can manage this and produce an even more stable (and thus longer-lasting) superposition, the quantum internet will be a whole lot closer to becoming reality.